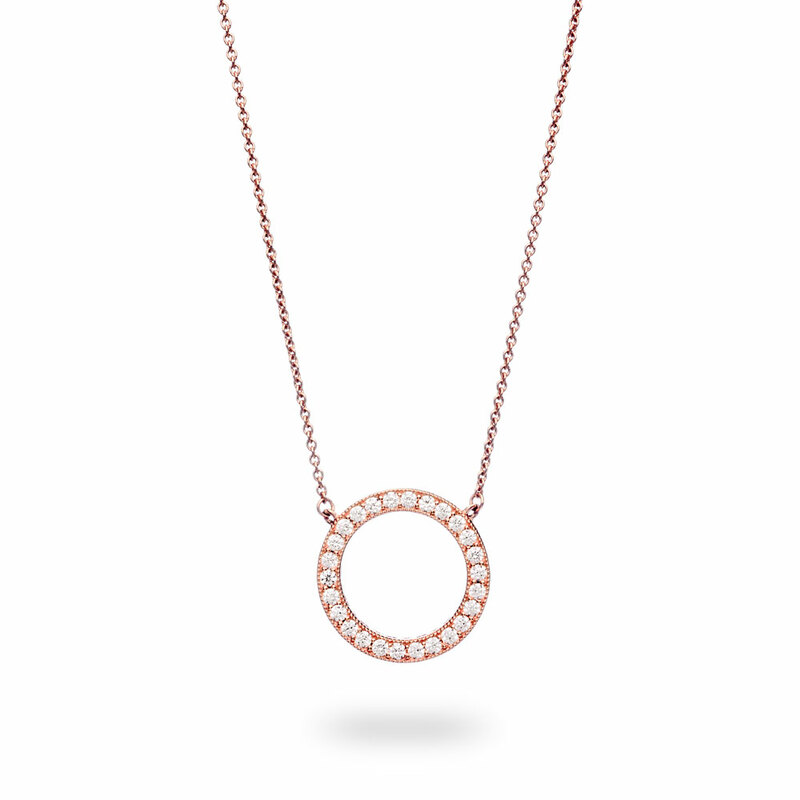 This versatile necklace collier features the classic PANDORA logo on one side and a circle of shimmering stones on the other. Comprising two looks in one, this rose-coloured statement design is the perfect transition piece for a day-to-night look. This great gift idea is available online or in concept stores. PANDORA Rose Hearts of PANDORA Necklace Collier is rated 5.0 out of 5 by 2. Rated 5 out of 5 by Lene69 from Very beautiful Have to say my wife loved her surprise. Thanks for the fast shipping.